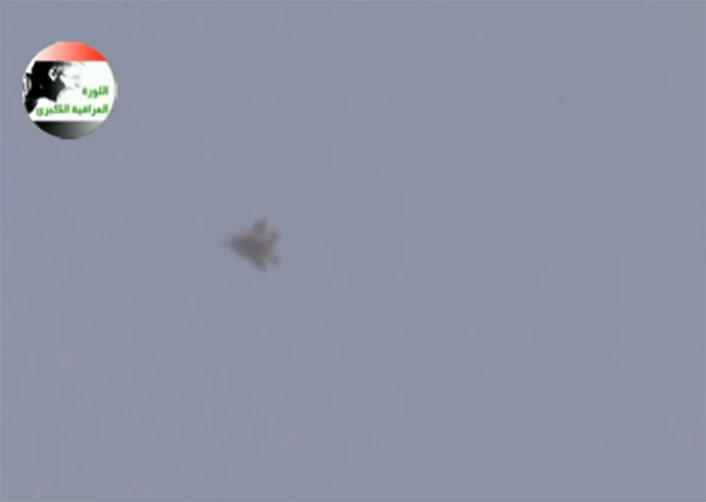 Although blurry, and taken from long distance, the footage seems to show a U.S. F-15E over eastern Iraq. Not only U.S. Navy planes and Predator drones are flying over Iraq. The following video, brought to our attention on Twitter by user @greenlemon, was filmed on Sept. 7, over Rawat, Al-Anbar, in eastern Iraq. Although it is a low quality footage, it seems to show an F-15, most probably, based on color and shape, an F-15E Strike Eagle attack plane. The presence of F-15E in the area, confirmed since the beginning of the air campaign against ISIS, is far from being surprising. What makes the video worth of note is the fact that it is the first one to show the Strike Eagles from the ground, as they fly over Iraq. According to our sources, some F-15Es belonging to 48FW from RAF Lakenheath are currently deployed to Al Udeid, in Qatar.